Riddle me this. 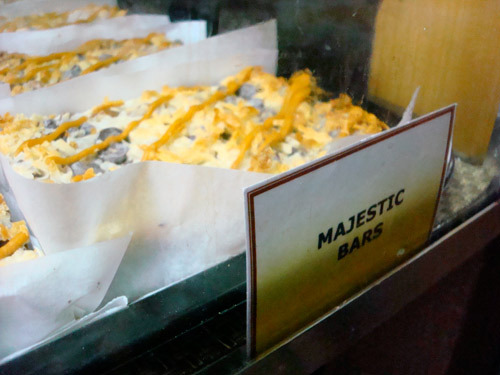 What's a Majestic Bar? No, it's not a bar at which they serve grandiose alcoholic beverages (though, come to think about it, such an establishment wouldn't be so bad, would it be?). "Like a magic cookie bar but with frosting & MORE chocolate chips." I know--like poetry, right? 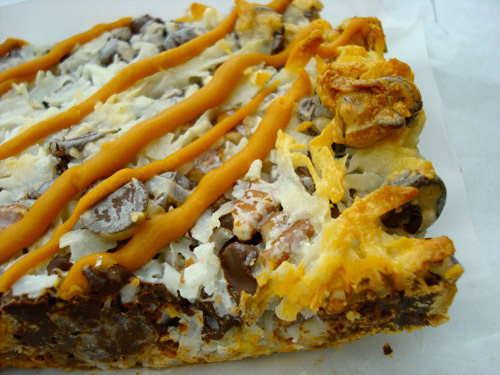 Of course, if you're not familiar with the Magic Cookie Bar (also called Hello Dolly Bars and 7 Layer Bars, and other names), let me give you a primer. This decadent bar cookie starts out with a graham cracker base upon which several layers of deliciousness are piled, including but not limited to sweetened condensed milk, chocolate chips, butterscotch chips, coconut, and nuts. They are rich and delicious. 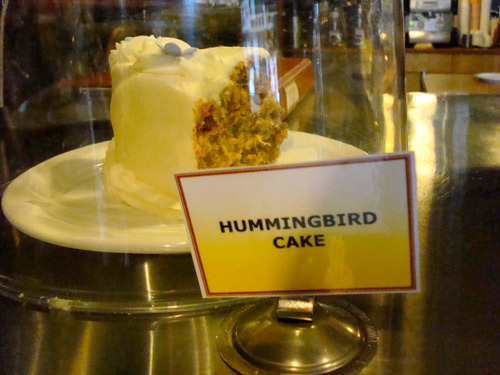 They also make a great pie, with the ingredients distributed slightly differently. But when you make the upgrade to the Majestic Bar, you're on decadence overload, in the best way possible. To sum it up: If you are what you eat, you might just become the Monopoly Man by the time you finish this big bar of awesome. 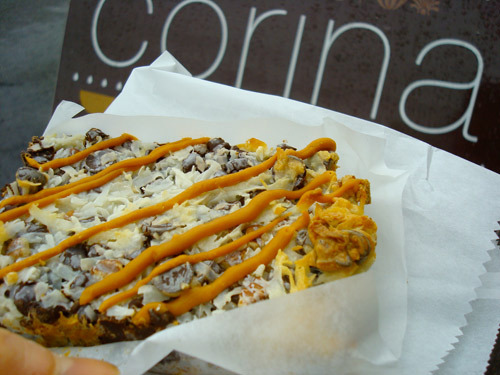 The Majestic Bar, available at Corina Bakery, 510 6th Avenue, Tacoma WA; online here.